I know it seems like I’ve vanished from word press. I can assure you I’ll be posting more resources, news, info, reviews for art, illustration, concept art, 3D, animation, figure drawing, still life, art history, and more very soon. I will make an effort to post more often; at least twice a month. Stay tuned and continue to follow my blog. If you’re an artist looking to expand your knowledge on Color Theory and Light; this is definitely a must video to check out. If you have trouble getting your images to pop, or maybe they look to flat and saturated, or have trouble deciding what colors to use for a painting, or maybe you think you feel you have to use every color in your paint collection? 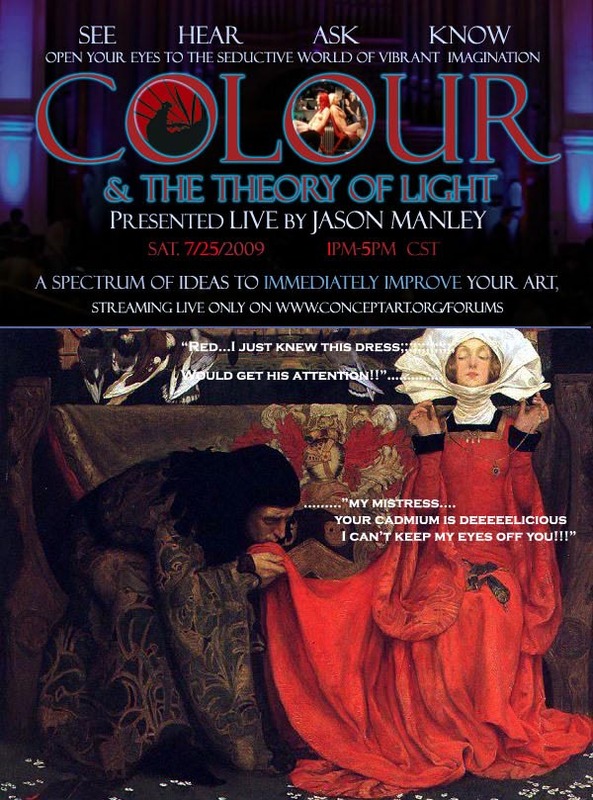 Jason Manley gives a great presentation on Color Theory, gives great examples from the Old Masters approaches to handling light and color. 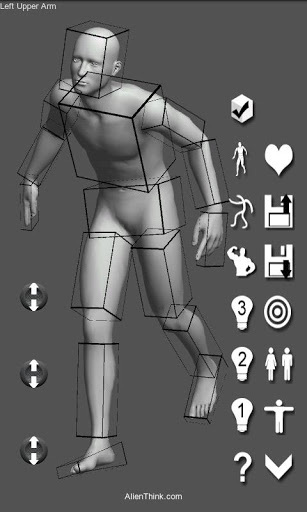 He also gives advice and examples of how color theory and light are used in blockbuster films and video games. COLOR AND THE THEORY OF LIGHT is one of the most elusive courses in education. We will be delving deeply into the importance of lighting theory for illustration, concept design, Fine Art, 3D, film, games, comics, and visual media of all kinds. 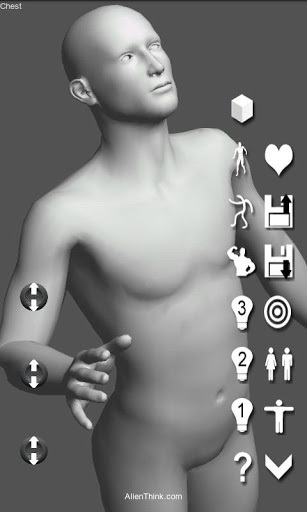 Communicating the visual feeling of light, and depth of mood is of the utmost importance when making art, no matter the field or industry. 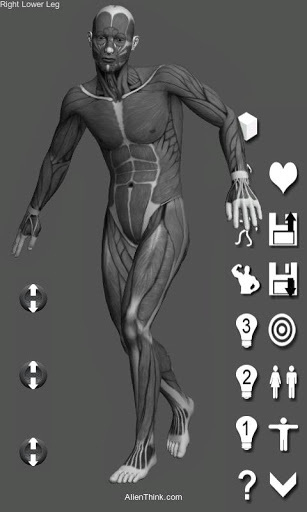 Accurate visual, abstract, and emotional qualities of color will be focused on. We will cover basic, intermediate and advanced color theory as directly related to making visual art. Students will learn how to create focal areas, pictorial space through color movements and atmospheric perspective as well as narrative color control for precise and purposeful visual storytelling. Many creative people in visual arts or other design fields have so many options and directions they can go into career wise. It can also get a little confusing as there are similarities and interchangeable roles an artist and or designer can use his knowledge and skills. If you are uncertain about your major, or maybe you want to change your major from an illustrator to a concept artist, industrial design; maybe it’s vice versa or both; then you should definitely check out this video by master concept artist and teacher Feng Zhu. This is a special “Favorite Artist” segment. Douglas Klauba is a fellow alumnus from the American Academy of Art in Chicago and art friend. Doug’s work is very creative, inspiring and mind-blowing. When you see it you just shake your head in wonder of how he created that piece. His work is all done traditionally; in fact, his painting method is so intense and clean that it almost looks impossible for him to pull off so much detail, textures, and transparent effects, that it looked like he would have needed to retouch it in the computer to add finishing touches to his paintings. He just has an amazing eye and a great touch with the brush that works for him and his style. I was also content to finally see him grace the pages of Imagine Fx magazine(issue 65); as I feel people need to be aware of his exceptional contributions to the Fantasy-Sci-Fi, Illustration, Comic Book, and conceptual work along with any other elites in the field. As a kid growing up in Chicago, Doug collected illustrated paperback covers, printed his own comic books and made movies with friends. His creative impulses lead him to a serious interest in painting, and he went on to graduate from the American Academy of Art in Chicago in 1985. After gaining valuable professional experience by working at several downtown illustration studios, Doug moved to California to study at the Academy of Art College in San Francisco. Upon returning to Chicago, Doug established his own studio where his illustrations have been commissioned for posters, advertising, book covers, magazines, corporate communications, calendars and collector plates by various national and international agencies and design firms. His work has been recognized for its heroic-deco style that includes influences of WPA murals and Art Nouveau design. I know it’s been a couple of months since my last updates. I assure you that I’m still passionate about providing resources and information for the visual art, design and entertainment. I would like to introduce you to this great book by Don Seegmiller. 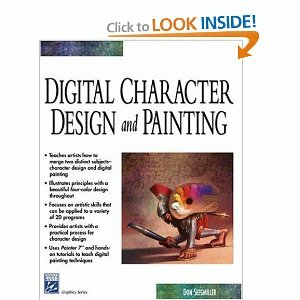 This book on Digital Character Design and painting is a wonderful start to approaching digital painting in corel painter. Seegmiller explains step by step fundamentals of researching characters, writing a characters profile, traditional art fundamentals and how to apply them to digital art. 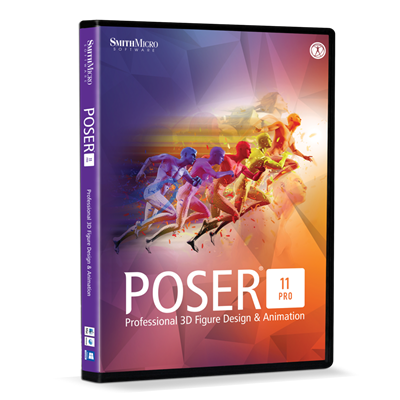 Such as lighting, rendering, color theory basics, to tricks and tips in painter. If you’re a beginner to character design I highly recommend this book. 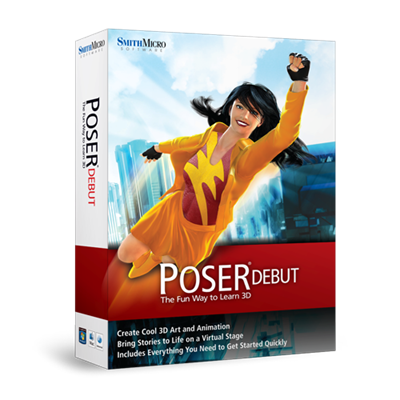 Also, one thing to note; Seegmiller is using an older version of corel painter 7; but most of the information is still relevant to later versions of painter. Ok. Here’s the latest on book recommendations for serious digital artists’ that want to turn there skills up a notch in Corel Painter. Don Seegmiller is definitely a great seasoned artist with a unique approach to painting digitally, without letting his work look digital. 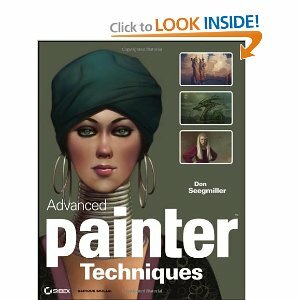 In this book y you’ll learn how to use painter on a new level; you can make your work look like an actual oil painting on canvas. Also, you’ll learn how to use the hose, textures, papers, make custom brushes, use Don Seegmillers special custom brushes, create a 3D effect look to your work, as well as wonderful illustration working files created by Seegmiller himself.